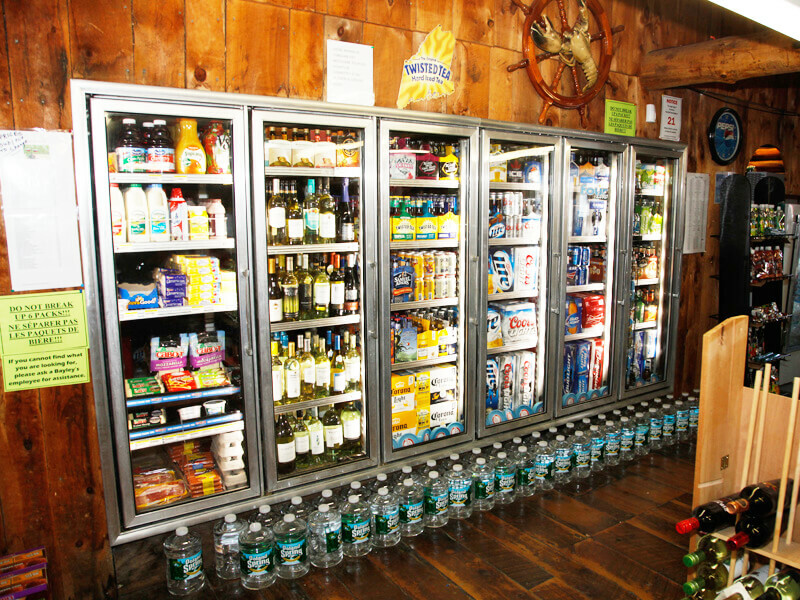 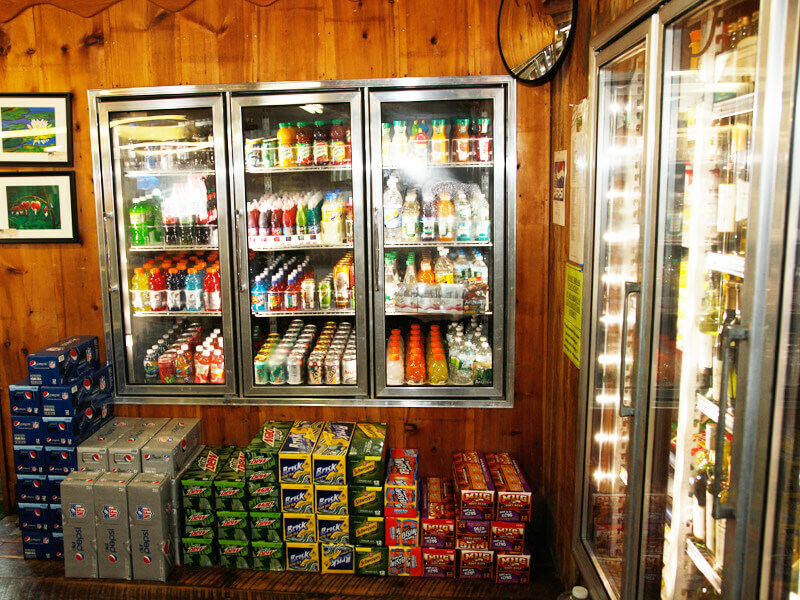 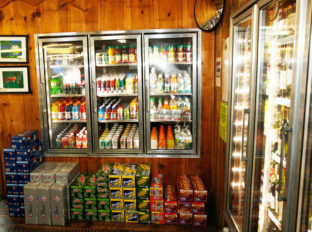 “If we ain’t got it, you don’t need it!” Our Main General Store carries groceries, RV and camping supplies, clothing, souvenirs/gifts, beer, wine and more. 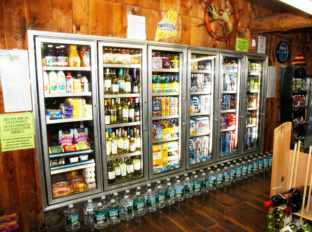 For your convenience the Main Store has an ATM, plus a quarter machine (handy for the laundromat), daily papers, ice and firewood. 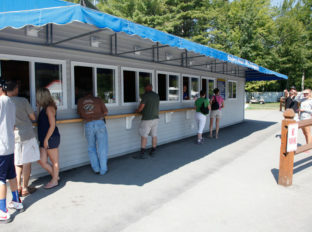 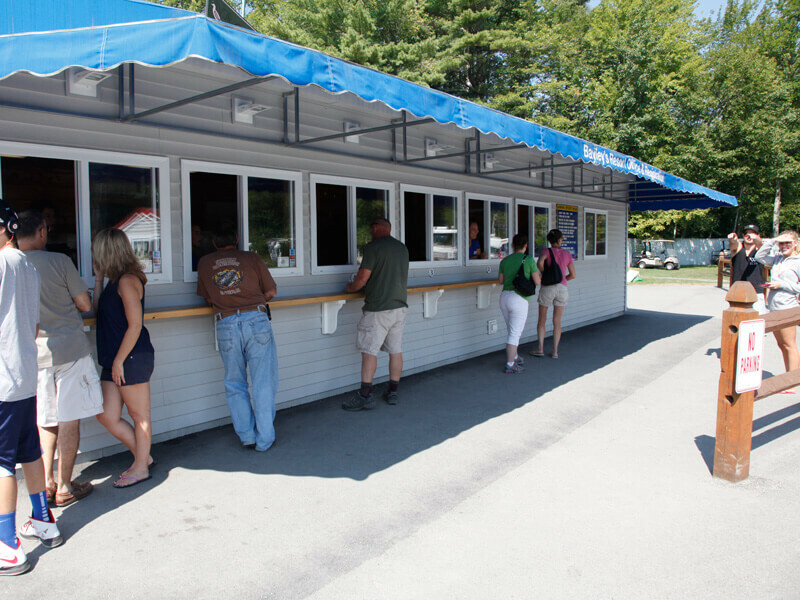 Here you can also purchase discounted Funtown/Splashtown and Aquaboggan Water Park tickets. 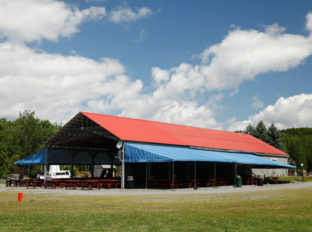 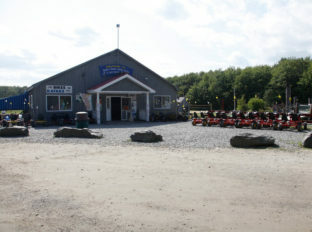 Our 2nd camp store is located down back next to our Bayley’s Cove Mini Golf Course and Troy Pond. 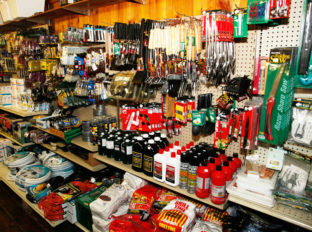 Here you’ll find a smaller selection of groceries, RV and camping supplies, clothing, snack foods and firewood. 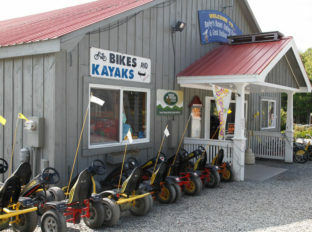 You can also rent pedal powered bikes/karts, kayaks and fishing poles.